I have been using Omega XL for the past few months and definitely experience a difference in my pain level and also better heart health. 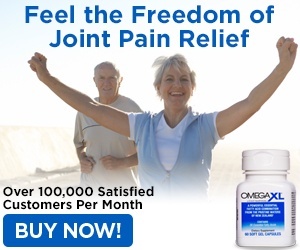 I have severe arthritis in my lower back and these pills help with discomfort one hundred per cent. I take prescriptions to help with the pain and was experiencing discomfort in my chest. 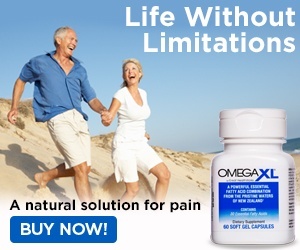 When I take Omega XL it does lessen that discomfort and I can rest much better. Ran out one time and I could certainly tell the difference overall. As soon as I got back on them I was feeling much better again.i increased my order so that would not happen again. I take four pills a day and so far that does it for me. I believe if you try these you will see an overall improvement in the way you feel. Reason of review: Fair pricing. Review #1124962 is a subjective opinion of User1124962.